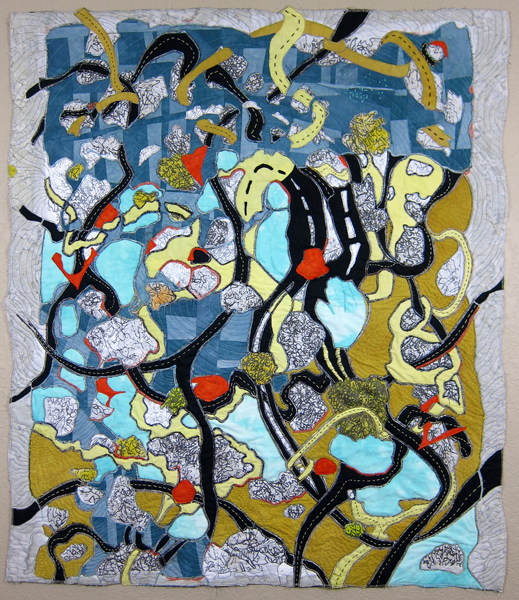 Trained as a printmaker, Ayn Hanna creates richly drawn active surfaces, exploring drawing and mark-making, connecting the physical and spiritualHer textile paintings include layers of fabric combined with thread “drawing” to develop texture and line. Inspired by our many systems for mapping and organizing ideas, stories, data and place, she plays with the overlaps that exist between art and science – shapes, models, diagrams, formulas, patterns. 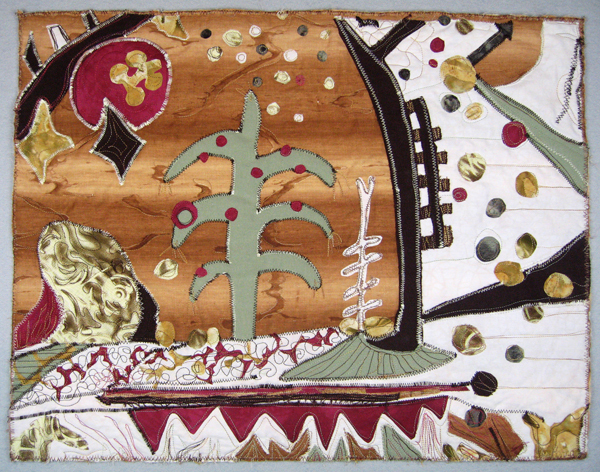 Her work is a mapping of her inner and outer worlds, combining imagery and personal symbols to convey feelings of place and experience.